Cracking the whip, the railways sent three top officials, including a secretary-level Railway Board official, on leave, suspended four officers and transferred one. 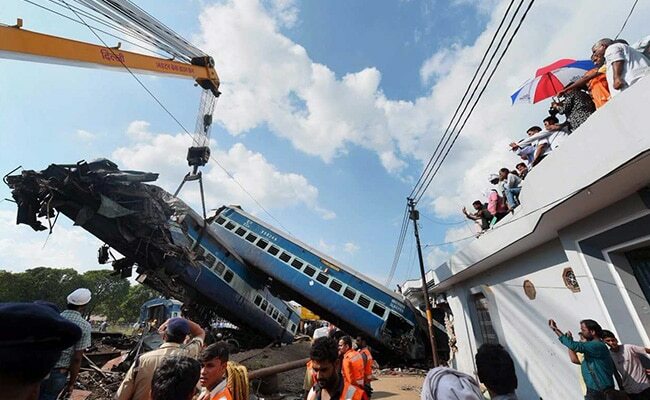 New Delhi: Minister of State for Railways Manoj Sinha today said there would be unprecedented action against those found guilty in the inquiry report of the Kalinga Utkal Express derailment. The derailment in Khatauli in Muzaffarnagar district on Saturday evening killed 22 people and injured 156, 26 of whom are in a critical condition. Stressing that action had already been initiated against officials, Mr Sinha said, "Once the report comes...the action will be such that has not been seen before." "On preliminary basis... things that have come to light...based on it I feel that the most stringent action has been taken in the history of the railways," Mr Sinha told reporters on the sidelines of the ITU-TRAI Asia Pacific Regulators Roundtable. Asked whether the preliminary report had pointed to human error for the train mishap, Mr Sinha said, "You are wrongly informed, the inquiry is going on." Mohd Jamshed, member traffic, railways, had said in a press briefing yesterday that equipment to repair tracks were found at the accident spot and that the Commissioner Railway Safety would investigate if unauthorised repair work led to the tragedy. Following the tragedy, member (engineering) in the Railway Board, the Northern Railway general manager and the divisional regional manager (Delhi) were sent on leave. The railways also suspended four officials -- senior divisional engineer, assistant engineer, a senior section engineer (Permanent Way) -- responsible for track maintenance and a junior engineer.